Renowned for Vitamin C content, one Australian orange has almost twice the recommended daily Vitamin C intake. However, other great nutritional properties of Australian oranges are often forgotten about, as citrus are being show to be a dynamo package of health benefits. Generally, citrus fruits have the highest antioxidant activity of all fruits, helping to boost the immune system and protect against cancer and heart disease. Are rich in antioxidants that help maintain brain function and keep bones and joints in tip top shape as we age! Are the richest fruit source of the antioxidant hesperetin, which protect cells as we age! Boost the immune system with all of the recommended vitamin C in take in just one Australian orange! Are high in folic acid and ideal for pregnant women with one orange providing 18% of the recommended daily intake. Are high in dietary fibre and help prevent bowel problems, improve cholesterol levels and reduce risk of heart disease. Are natural sources of sweetness and provide just 2% of your daily energy needs in one medium orange. Recent research has revealed that special antioxidants found in oranges help keep bones and joints in tip top shape and protect against osteoporosis as we age. Oranges improve bone strength by slowing down and reducing bone loss. Another study of 70,000 women has shown that those who consumed higher levels of flavenone compounds (found in the greatest concentrations in oranges and grapefruit) showed a reduced risk of ischemic stroke. 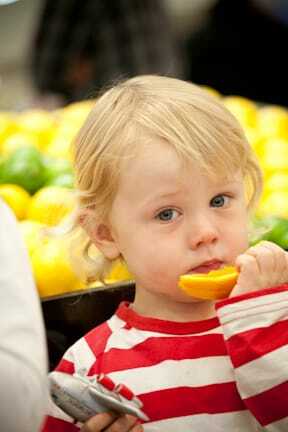 Eating an orange a day will also improve your feelings of alertness throughout the morning. If you are running low on fuel with no time to sit back and recharge your batteries, boost your energy levels the natural way and eat Australian oranges. Scientific evidence suggests that the polyphenols found in oranges will help keep your brain active. Add an orange to your breakfast for that all important get up and go feeling each morning. If you feel exhausted in the afternoon and can’t function without a gallon of coffee, why not include a juicy navel orange in your lunchbox to keep your brain functioning all day. Oranges are a source of carbohydrate and contain B vitamins for that extra energy boost; ideal replacements for power drinks and quick fix chocolate bars! oranges are also a natural source of sweetness and are perfect for children as can be cut into quarters easily, are seedless, travel well and one medium orange a day provides more than 100% of their vitamin C requirements! If your children are tired and grumpy in the mornings, try including an orange in their diet to give them more vitality and improve their concentration at school. Grapefruit and grapefruit juice offer significant health benefits, including natural antioxidants that can help prevent disease. In November 2012, Florida Department of Citrus scientists confirmed there was no scientific evidence that taking grapefruit juice with widely prescribed medication has injured anyone. For more information please download the Enjoying Grapefruit Patients Guide. It only takes a minute to squeeze all those nutrients into your diet. Take a ‘half-time’ break with your family and oranges! Whether you prefer eating your orange whole, slicing segments for your little ones or introducing them to delicious dishes, oranges are the perfect low-fat sweet treat! Look after yourself this year and smile with Australian oranges!